Started hunting at the age of 9. Now the young lady is 15 here is her testimonial. 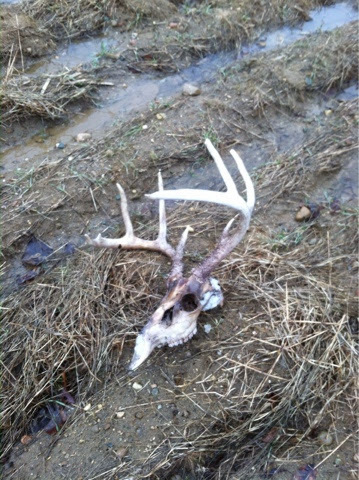 This is the big 8 point I put a bad shot on on opining night of the youth hunt of 2013, after I shot it my uncle josh and I realized the shot was to low In the stomach so we decided to let it lay over night an we were going to call a dog tracker in the morning. my uncle josh called rob the dog tracker in the morning , he told him the situation rob said he would come out an track it for us .after we got there his dog got on the tracks ,the dog ended up on the blood trail ,witch there was very little blood to track on maybe 10 spots of blood total, we've been tracking it for over 2 hours then the dog ended up jumping the deer out of it's bed ,then we got an eye on the deer and realized the deer wasn't going to die that day . 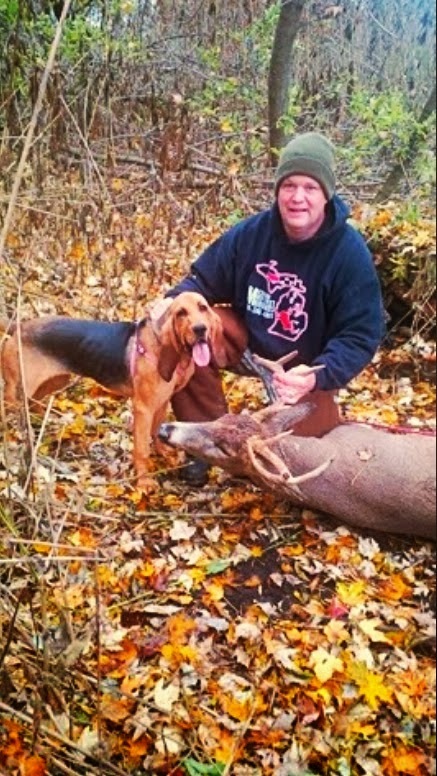 We decided to call the dogs off the track , then in 2014 after the snow melted my uncle josh I went looking for the buck in the area we felt it had died in ,while we were looking my uncle found him ! 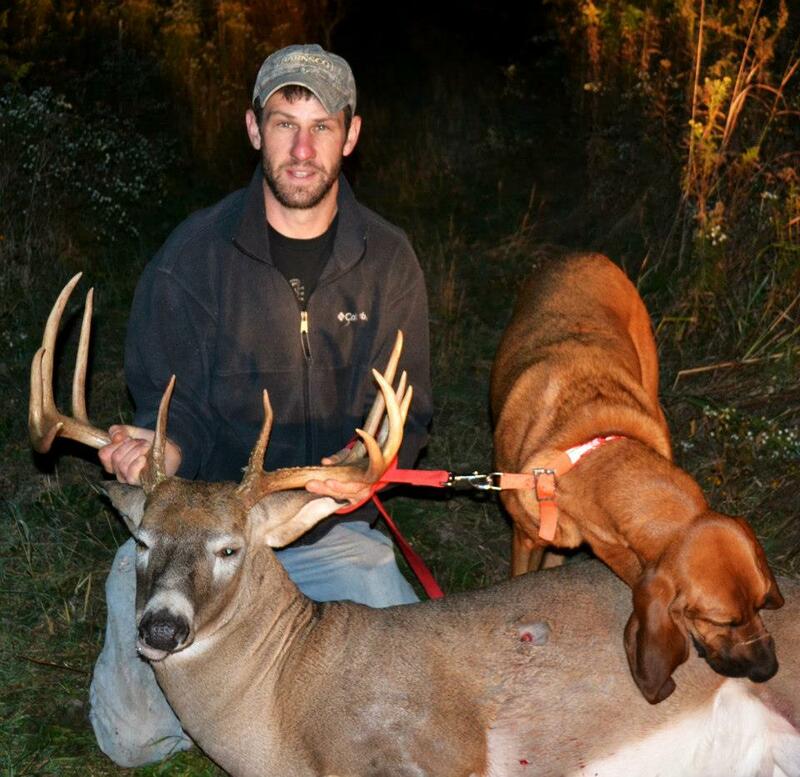 This is the picture of the 8 , we wan't to thank rob for bringing his dog out an tracking the buck for us. 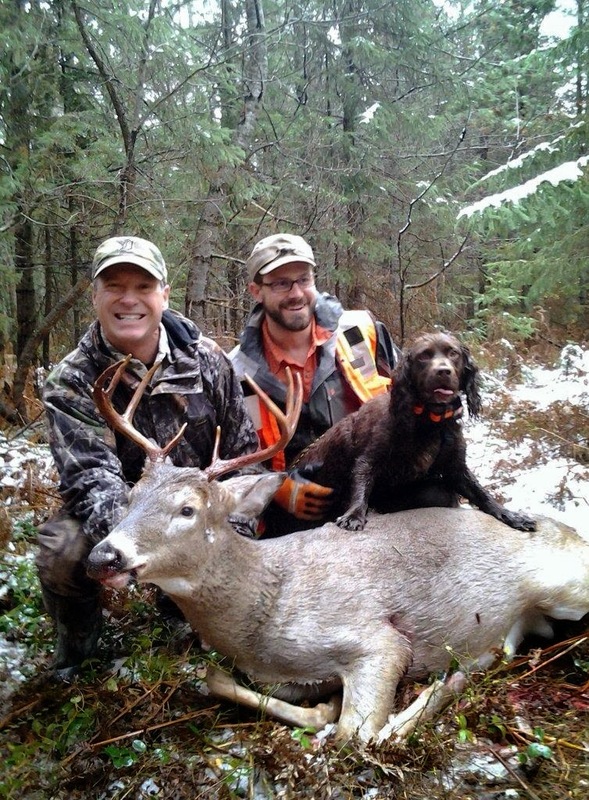 I think that this dog is the number one deer tracking dog in Michigan by far ! They did everything correctly from the hunters standpoint. We as trackers did all we could do also. This is one of the cases when paunch shot deer take several days/weeks to expire. 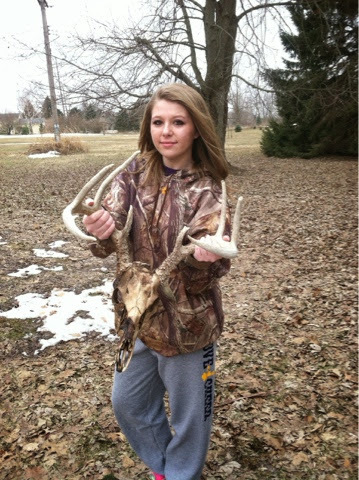 We found the buck however he was still extremely strong.